EGN Gaming - Announcing EGN PUG Nights and our partnership with R6 ANZ! Announcing an exciting new way to compete on EGN! Whether you're brand new to a game or a seasoned pro, PUG Nights are a great way of playing in a structured, fun and competitive environment while meeting new players in the online gaming community. Sign up on your own, or with a buddy to be placed on the same team with. Get randomly placed into a team with others. Teams are balanced using in-game stats/ranking and EGN competition history. Compete and have fun knowing you'll have a fighting chance against any team! And to start the new format off in style, we are delighted to announce that we've partnered with R6 ANZ to run Rainbow Six PUG Nights on PC every week with R6 credits and other prizes up for grabs, starting THIS FRIDAY! Grab a buddy or go solo and sign up for the first Rainbow Six PUG Night here! 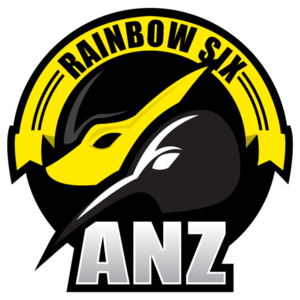 R6 ANZ is the home of the Rainbow Six: Siege community in Australia and New Zealand, bolstering just over 2600 members on their Discord. They also provide casting for a wide range of events, ranging from community/grassroots tournaments to official Ubisoft Australia events. Click here to join their Discord! The weekly prizes for the Rainbow Six: Siege PUG Nights have been generously donated by Ann flank.TK from the R6 ANZ community. To the console Rainbow Six players, don't stress - PUG Nights will be coming to you soon! PUG Nights for Rocket League and Overwatch are just around the corner! We are in the process of developing a rating system for these games via ingame stats - similar to what we've done with Rainbow Six. Stay tuned! Kabboose, Rizkallah, PhadezHD and 13 others like this.